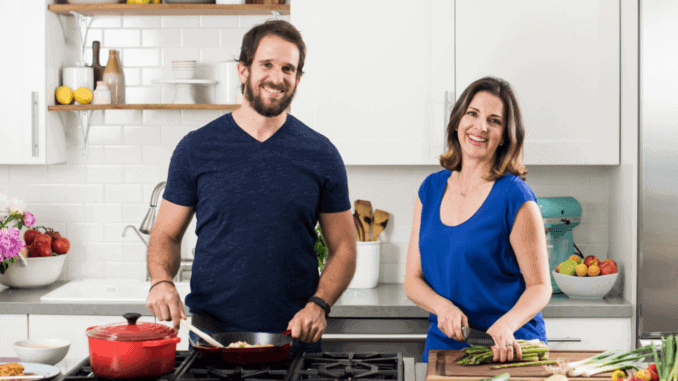 Veestro create chef-prepared meals that are 100 percent plant-based; made from organic ingredients with no added preservatives and delivered straight to your home anywhere in the US. Here we speak to the founder of the foremost vegan chef delivery service in North America. Mark Fachler, founder and CEO of delivery service Veestro, says that “Veestro is about what feeds us, body and soul—delicious, organic, healthy, sustainable, from plants. And it’s fully prepared for any time we need to eat it.” We asked him about this exciting service which strives on delivering healthy, delicious and nutritious prepared meals to their happy customers. We offer over 50 meals and ten juices on our website. Our customers can pick and choose their favourites “a la carte”, or opt for our pre-curated meal packs, designed based on different dietary goals (high protein, low calorie, gluten free, etc.). Non-subscription customers order every 45 days on average while subscribers receive orders every two weeks. How large is your company’s current product portfolio? All our meals are 100 percent vegan. Any meals on our menu that indicate meat, cheese, eggs, dairy, or any other animal derivative are made using a plant-based alternative. Vegans love our Enchilada Casserole and Beluga Lentil Braise due to their nutritional profile and large portion of veggies. Non-vegans love our Country Fried Chicken because it’s a healthy alternative to an old classic and everybody really loves our Red Curry, it is our most popular dish. Veestro’s mission is to help people eat more plants by offering convenient and quick meal options. Whether you are a vegan, vegetarian, meat eater, etc., we believe that eating more plants is beneficial for your health, animals and the environment. It’s a win/win/win! How do you stand your ground against your competitors? We stay true to our values by putting delicious first. There are a lot of companies offering similar products, but as most know, making great tasting plant-based meals is not an easy task. Our meals are carefully crafted and balanced to ensure not only that you’re getting all the nutrients you need, but that you’ll also enjoy every bite! Our high reorder rate (compared to industry average) and reviews (9,000 reviews, 88 percent four and five stars) are testaments to that. Vegetarians, Vegans & Flexitarians – How do you assess the target group and its development in the coming years? While vegans, vegetarians and flexitarians are an important part of our customer base (57 percent), we understand they already know how to eat healthy. The segment is growing rapidly, thanks to the large amount of accessible information, and the availability of products like ours that make it easier to follow that lifestyle. As previously stated, our goal is to help everybody eat more plants, which is why a large part of our marketing budget is dedicated to the other 43 percent that don’t want to commit to a specific diet, but understand the benefits of a plant-based diet, and want to increase their intake of vegetables in an easy and convenient way. For 2018, we’re focused on continuing to grow the direct to consumer segment. We are planning on opening a distribution centre on the East Coast that will allow us to service our customers much faster, while at the same time providing them with more affordable shipping options. In addition, we are planning on relaunching our website with a much more simplified customer journey and improved customer experience. In 2019 we are planning on opening two additional sales channels: B2B and retail. Our Corporate program (B2B) consists of supplying Companies all over the country with healthy lunch alternatives for their employees. With the retail program, you can expect to see Veestro products in specialty and health supermarkets nationwide. In five years we see Veestro as a household name, as the go-to brand for health and convenience. Not only will you be able to find Veestro products online but also in company breakrooms and in your favorite restaurants and supermarkets. We expect the plant-based movement to continue to grow as a healthier and more sustainable way of eating, and we see Veestro at the forefront of the movement.